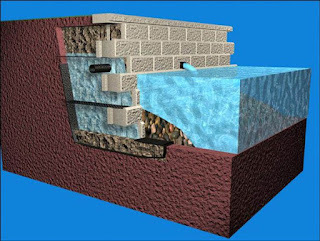 The Allan Block Blog: Can Allan Block be Used in Water? Can Allan Block be Used in Water? Can Allan Block be used in water? Absolutely!! 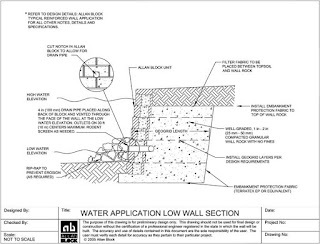 Many of the site challenges Allan Block products are used to solve include “water applications.” What is a water application? 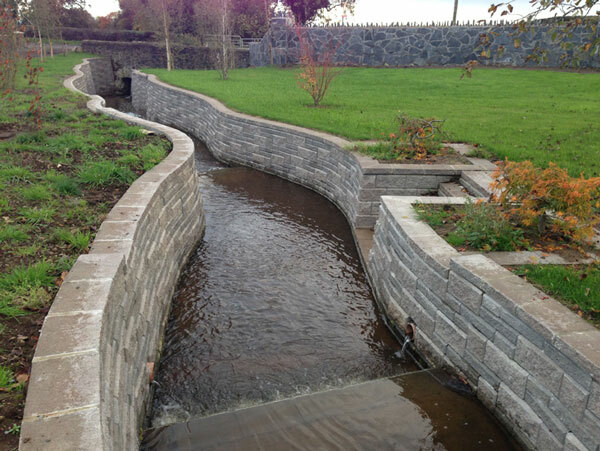 A true water application includes water being present all the time (such as a pond) or in some cases only periodically such as detention pond (water levels rise with rain events). No matter the reason for the water application Allan Block can be used to solve your problem! Removal of all clay and use of free draining aggregate known as wall rock within the wall system. The four-inch drain pipe should be placed above the low water level. 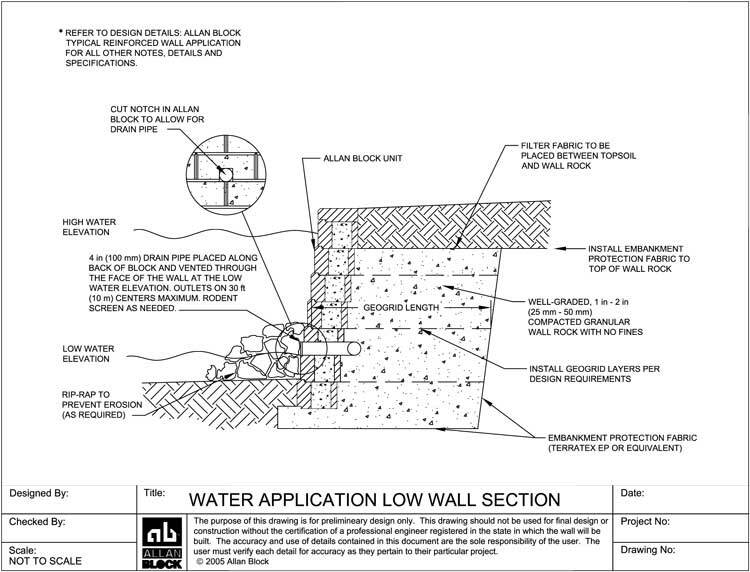 Embankment protection fabric should be used behind and under the reinforced zone to protect fines from migrating into the mass. Rip-rap should be used at the front of the wall to protect from erosion (specifically when the water is going to be moving). *Check out Detail #1 and Rendering #1 for more information on recommendations.